representing projects in Haiti, Kenya, Tanzania, Zambia and Zimbabwe. 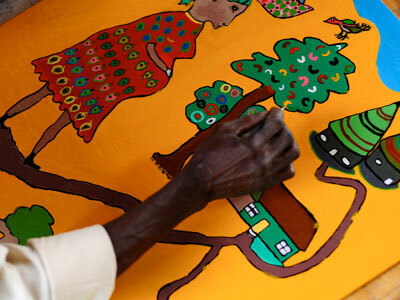 The Granny Connection encourages awareness of Africa’s grandmothers and their struggle in the fight against HIV/AIDS by building support through grandmothers in Columbus, Indiana. 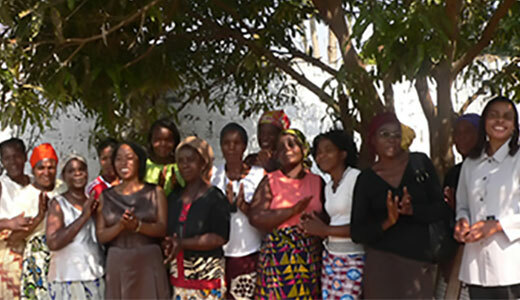 The Granny Connection directly supports the Power of Love Foundation whose response to HIV and AIDS is to strengthen affected communities in Matero, Zambia, by empowering women and grandmothers to become self-reliant. These women are provided with micro-loans and business training as well as food, medicines, and health care services for their HIV positive grandchildren. Thousands of treated malaria bed nets are provided to families and a prenatal program is in place to prevent vertical transmission of HIV. Supervised play is also a critical part of the program to address grief, abuse, and other forms of childhood problems. Families rekindle and make tangible progress demonstrating resilience, strength, and courage. In 2008, a group of women in Columbus, Indiana, began its organizing and advocacy work on behalf of these deserving grandmothers. This group, The Granny Connection, focuses on raising funds to help ease the plight of African grandmothers and their orphaned grandchildren. In some countries in sub-Saharan Africa, 40 - 60% of AIDS orphans are living in extreme poverty in grandmother-headed households. The challenges they face are overwhelming. The Granny Connection works to offer hope and opportunity for these women and children. Money raised has enabled children to receive supervised medical care and benefitted hundreds of other children and grandmothers by providing social, medical, and/or emotional support.
. Colins' health has improved significantly in the last year and he is attending school as a result of your generosity and caring. Colin is 11 years old and cared for by his grandma. Last year, he got sick, got tested and found positive for HIV. To keep Colin from developing full-blown AIDS, it is critical that he doesn't catch any opportunistic infections which will compromise his health. As part of the pediatric HIV care program, POL's Project Nurse is counseling and educating his grandmother on how best to prevent infections and take care of him. In addition, he is visited weekly by a child health care worker for a check-up and psycho-social counseling. We are happy to hear that Colin is an active and playful fourth grader and loves school! To help care for more children like Colin, Power of Love is partnering with Global Giving. Please donate generously to help HIV+ children like Colin continue to play, attend school, and live healthy lives. And as always, 100% of your donations go towards POL programs and no part is used for overheads. Imani Workshops was established as part of the AMPATH Family Preservation Initiative (FPI). AMPATH is the cooperative response to HIV/AIDS by Moi University School of Medicine in Eldoret, Kenya and Indiana University. Imani Workshops provides avenues for HIV positive artisans to achieve sustainable social enterprise through the production of high quality handicrafts, promoting economic self-sufficiency. The Imani Artist Collective further develops the artistic talents of the Imani Workshops artisans as they “paint their truths” on canvas and paper. Konbit Lasante Pou Limonad strives to elevate the level of primary healthcare in the community of Limonade, Haiti and the surrounding area. Objectives are to support the Haitian healthcare system, expand existing health care services to individuals affected by HIV/AIDS, and to link healthcare to the alleviation of poverty by providing essential services such as nutrition, housing, potable water, sanitation, education, and employment. Matthew Rusike Children’s Home operates a multifaceted program which combines residential care and community based orphan care initiatives in Epworth, Zimbabwe. Most of the community based children are orphaned due to HIV/AIDS, therefore some of them are not only affected but also infected by the pandemic. Under the MRCH Community Based Care program, the health, nutritional, psychological, and educational needs of these children are addressed. Since its establishment in 1960 as a residential care facility for orphaned and vulnerable children, Matthew Rusike Children’s Home has developed into one of the largest child welfare organizations in Zimbabwe, caring for over 6,092 children in its Residential and Community Based Orphan Care Schemes and employing a staff of 50 in its childcare services. As a multifaceted program MRCH has decentralized its childcare operations to various Methodist Church in Zimbabwe districts through home and community based care initiatives. Community Based Care (CBC) was a response to the growing number of orphaned and vulnerable children in society, largely due to the HIV/AIDS pandemic. Modern trends have proven that children grow better when assisted in their natural environment as opposed to being put in an institution. MRCH Community Based Care has enrolled over 7,000 children in various interventions such as school fees, food, clothing, rentals, and medication. These CBC programs are possible with the assistance of trained volunteer community caregivers. The caregivers also raise awareness in the communities to uphold children’s rights. They address child abuse and immoral activities perpetrated against children, being advocates for vulnerable children. MRCH has also begun setting up Community Resource Centers using the church facilities for Psycho Social Support services. At these centers children are assisted with guided play and games, counseling, supervision of homework, health checks and provision of supplementary feeding. Alongside these programs, MRCH has a Community Health Program in place for children who are chronically ill, many of whom have been infected with HIV. Tertiary School fees (post secondary/college age) range from US$1,300 to US$1,560 with other needs as transport, library fees, stationery, pocket money, food and rentals which add up to US$1,400. Together with school fees, costs may come to US$2,960 per year. Resources are needed for workshops to train the community volunteer caregivers. Workshops run for 3 days for 26-35 people. Every year 8 workshops are run if resources are available. Cost of each workshop ranges between US$700 to US$1,000. The home is in dire need of a good vehicle in the form of a twin cab, preferably four wheel drive. Approximate cost is US$48,000. We are currently looking for businesses, groups or individuals that would be interested in being a sponsor for Arts For AIDS events in and around Columbus,Indiana. If you are interested or would like to find out more about being a sponsor please email or give us a call. 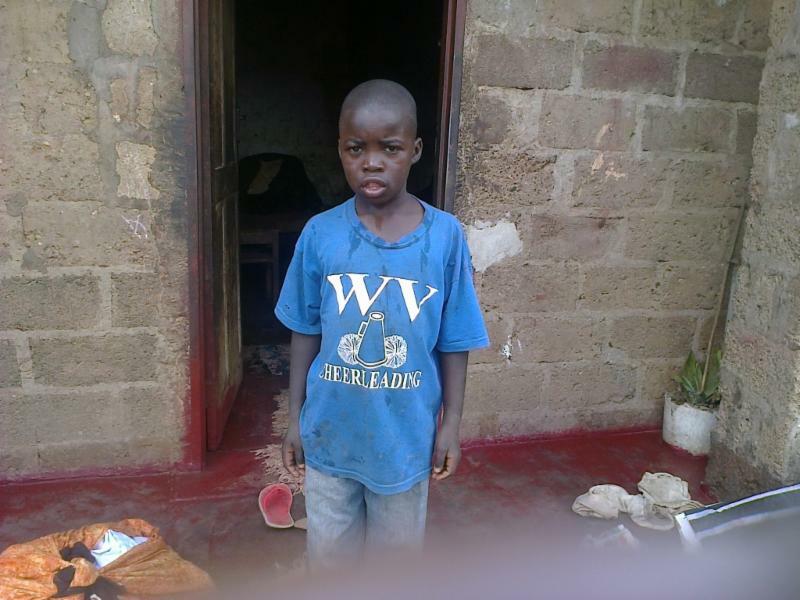 Click link below to read several stories about people you would be helping as a sponsor. The Arts for AIDS Fiscal Agent for donations and gifts is Columbus Area Arts Council. Please send any checks to "Columbus Area Arts Council" with the words “Arts for AIDS” in the memo line. African American Fund, Columbus Area Arts Council, Cummins Inc., The Granny Connection, Indiana University Purdue University Columbus, QMix. Copyright © 2018 Arts for AIDS All Rights Reserved.